Deck contains 6 suites with 9 cards each, for a total of 54 cards. Each suite is identified by a color; gray, orange, black, brown, blue, green. 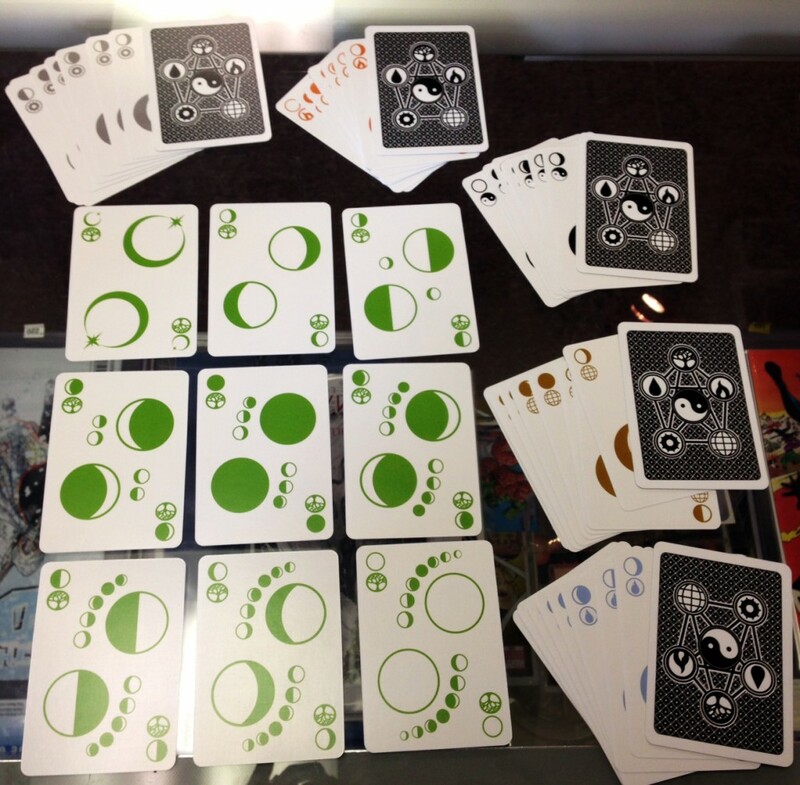 Each card depicts a center and corner images of a moon phase (a smaller image of a “chain” of moon phases depicts the previous phases of the lunar cycle). Each card depicts an element; water, fire, earth, metal, wood, or harmony. There is also an eclipse card (top left) that is comparable to an ace in that it can be used as high or low. So far, a Uno-type game has been played with the deck. What are your ideas? Stop in the shop to see the deck in person, and if you’re interested in getting together with others to discuss ideas, contact us at (610) 222-9200 or info@newwavecomics.net.